The national digital Property Address System, which is expected to make it easier to find locations in the country and boost emergency service delivery, will be launched on Wednesday, October 18, 2017. It is also to aid government policies, planning and offer accurate data for service delivery. Vokacom, a Ghanaian information technology firm, designed the system and it is partnering the Ghana Post Company Limited to roll it out, with the National Information Technology Agency (NITA), expected to host the data. The system is location-based and it is expected to provide an effective means of addressing every location and place in the country, including undeveloped parcels of land, using an information technology application (app). The app will generate a unique code for every property or location in Ghana, using the Global Positioning System (GPS) technology. A national address registry will be imbedded into the system to enable individuals to validate their home and business addresses for easy direction and identification purposes. 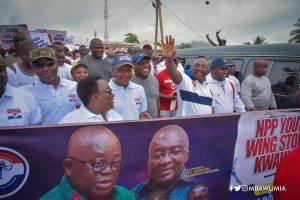 President Nana Addo Dankwa Akufo-Addo and Vice-President Mahamudu Bawumia are expected to grace the launch of the system, a precursor to the National Identification Authority’s Ghana card, a national identification card. The system will be a major turnaround for a country that was last mapped in 1974 and lacks an efficient addressing system which has become a serious impediment to development and planning. The Land Administration Project (LAP), which began in 2003, has been able to map only 10 per cent of the country’s landmass. The Chief Commercial Officer of Ghana Post, Mr Jonathan Ansah, said the digital address system would bring the needed change that would be of enormous benefit to the Ghanaian economy. “It is expected that everything we do, going forward, will change and it will create more opportunities for the youth who are technologically savvy,” he said. “The letter box is becoming irrelevant. There are many youth today who do not care if the post office exists or not but this system allows Ghana Post to interact directly with the consumer at his or her convenience and location. “With our e-commerce platform, website that has online shopping modules, all you need to do is to shop and enter your digital address there, and we know exactly where to drop the parcel at your doorstep and convenience,” he explained. Mr Ansah said in future, state institutions, including the NIA, Social Security and National Insurance Trust (SSNIT), the Driver and Vehicle Licensing Authority (DVLA) and other institutions that dealt with public data would have to synchronise and use one database owned by Ghana Post. 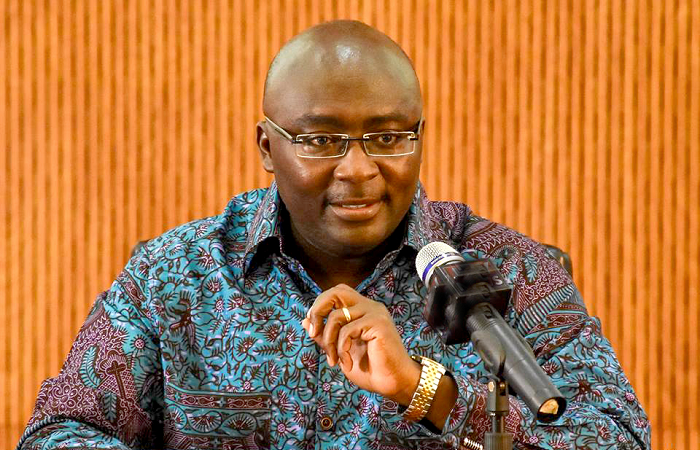 Vice-President Bawumia in February this year announced the government’s determination to have a digital property addressing system, as well as a national identification system by the end of the year. The national digital Property Address System is expected to be available for public use on Wednesday, October 18, 2017 when the President, Nana Addo Dankwa Akufo-Addo, launches it in Accra. Designed by VOKACOM, a Ghanaian firm, and deployed in partnership with the Ghana Post Company Ltd and the National Information Technology Agency (NITA), the system would make it easier to find locations across the country and facilitate the work of emergency services.